2001 – The company was founded as Hahn & Woodward Auto Restoration by Bill Hahn and Wes Woodward. 2014 – Renamed Hahn – Vorbach when founding partner, Wes Woodward, wanted to slow down. Paul Vorbach, stepped up to fill the void and help continue the tradition of quality restorations and repairs. 2016 – Bill Hahn and Paul Vorbach started HV3D Works to provide 3D printed parts that were unobtainable or difficult to obtain for customers’ cars. 2017 – With major growth in both Hahn Auto Restoration and HV3D Works, Paul Vorbach took over operations for HV3D Works while Bill Hahn stayed with his first passion, restoring cars, renaming the company Hahn Auto Restoration. Throughout the history of Hahn Auto Restoration, owner Bill Hahn’s passion for automotive restoration has kept the company thriving. His passion and expertise in the restoration industry has served as a common denominator throughout the years, building a trusted name and reputation customers can depend on. At eight years old, Bill got lost at a car show while admiring the cars, thus igniting his passion for cars. 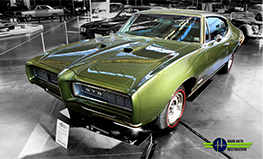 Since 1978, Bill has been specializing in collectible automotive restoration. 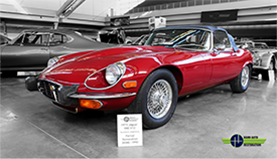 His efforts in auto restoration have produced several national award-winning vehicles that regularly sell for several times their book value. In addition to running a successful restoration shop, Bill has applied his expertise in automotive restoration to hosting auto detailing seminars, automotive painting safety seminars and to being a member on the advisory board for Penn College auto restoration department. 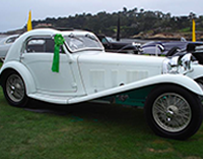 Bill was the head of a planning group that organized the 2005 Concours d’ Elegance at the BeaveRun Motorsports Complex and has also judged various car shows. He is also one of the founders of Wexford Starlite Car Cruise. This cruise was one of the largest car cruises on the east coast between 2000-2017 and regularly attracted over 1,000 cars from Western Pennsylvania, Ohio and West Virginia. Bill and his wife Helen are lifelong residents of Western Pennsylvania and have been married over 45 years with two children and four grandchildren. Bill runs the shop with the help of his daughter Amy Beck, who joined him at the company officially in 2013. Amy has been a part of the shop, car shows and parades since her childhood, following in her father’s footsteps with a passion for automotive restoration.